This Facility is required by law to provide you with this Notice so that you will understand how we may use or share your information from your Designated Record Set. The Designated Record Set includes medical and billing records and is used, in whole or part, by or for the Facility to make decision about your health information referred to in this Notice as “Protected Health Information” (“PHI”) or simply “health information.” We are required by law to maintain the privacy of your PHI and to provide you with this notice of our legal duties and privacy practices. If you have any questions about this Notice, please contact the Administrator. The following categories describe the ways that we use and disclose health information. Not every use or disclosure in a category will be listed. However, all of the ways we are permitted to use and disclose information will fall into one of the categories. For Treatment. We may use or disclose health information about you to provide you with medical treatment. We may disclose health information about you to doctors, nurses, therapists or other Facility personnel who are involved in taking care of you at a Facility. For example, a doctor treating you for a broken leg may need to know if you have diabetes because diabetes may slow the healing process. In addition, the doctor may need to tell the dietitian if you have diabetes so that we can plan you meals. Different departments of a Facility also may share health information about you in order to coordinate your care and provide you medication, lab work and x-rays. We may also disclose health information about you to people outside the Facility who may be involved in your medical care after you leave a Facility. This may include family members, or visiting nurses to provide care in your home. For Payment. We may use and disclose health information about you so that the treatment and services you receive at a Facility may be billed to you, an insurance company or a third party. For example, in order to be paid, we may need to share information with your health plan about services provided to you. We may also tell your health plan about a treatment you are going to receive to obtain prior approval or to determine whether your plan will cover the treatment. For Health Care Operations. 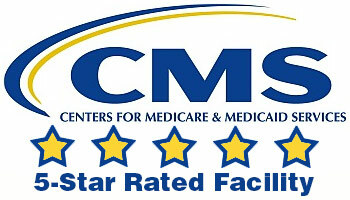 We may use and disclose health information about you for our day to- day health care operations. This is necessary to ensure that all residents receive quality care. For example, we may use health information for quality assessment and improvement activities and for developing and evaluating clinical protocols. We may also combine health information about many residents to help determine what additional services should offer, what services should be discontinued, and whether certain new treatments are effective. Health information about you may be used by our corporate office for business development and planning, cost management analyses, insurance claims management, risk management activities, and in developing and testing information systems and programs. We may also use and disclose information for professional review, performance evaluation, and for training programs. Other aspects of health care operations that may require use and disclosure of your health information include accreditation, certification, licensing and credentialing activities, review and auditing, including compliance reviews, medical reviews, legal services and compliance programs. Your health information may be used and disclosed for the business management and general activities of the Facility including resolution of internal grievances, customer service and due diligence in connection with a sale or transfer of the Facility. In limited circumstances, we may disclose your health information to another entity subject to HIPAA for its own health care operations. We may remove information that identifies you so that the health information may be used to study health care and health care delivery without learning the identities of residents. We may disclose your age, birth date and general information about you in the Facility newsletter, on activities calendars, and to entities in the community that wish to acknowledge your birthday or commemorate your achievements on special occasions. If you are receiving therapy services, we may post your photograph and general information about your progress. Business Associates. There are some services provided in our Facility through contracts with business associates. Examples include medical directors, outside attorneys and a copy service we use when making copies of your health record. When these services are contracted, we may disclose your health information so that they can perform the job we have asked them to do and bill you or your third-party payer for services rendered. To protect your health information, however, we require the business associate to appropriately safeguard your information. Providers. Many services provided to you, as part of your care at our Facility, are offered by participants in one of our organized healthcare arrangements. These participants include a variety of providers such as physicians (e.g., MD, DO, Podiatrist, Dentist, Optometrist), therapists (e.g., Physical therapist, Occupational therapist, Speech therapist), portable radiology units, clinical labs, hospice caregivers, pharmacies, psychologists, LCSWs, and suppliers (e.g., prosthetic, orthotics). Treatment Alternatives. We may use and disclose health information to tell you about possible treatment options or alternatives that may be of interest to you. Health-Related Benefits and Services and Reminders. We may contact you to provide appointment reminders or information about treatment alternatives or other health-related benefits and services that may be of interest to you, unless you ask us, in writing, to use alternative means to communicate with you regarding these matters. We may also contact you by telephone to inform you of specific test results or treatment plans, but only with your prior written authorization. Fundraising Activities. We may use certain health information about you to contact you in an effort to raise money as part of a fundraising effort. We may disclose certain health information to a foundation related to the Facility so that the foundation may contact you in raising money for the Facility. We will only release contact information, such as your name, address and phone number and the dates you received treatment or services at the Facility. Please note that you always have the right to “opt out” of receiving any future fundraising communications and any such decision will have no impact on your treatment or payment for services. If you do not want the Facility to contact you for fundraising efforts, you must notify the administrator in writing. Facility Directory. We may include certain limited information about you in the directory and on your assigned room name plate. Limited information (such as your name and room number) may be given to clergy, family and friends so they may visit. The fact that you have been “treated and released” may be released as part of the directory information about your general condition and location in the facility. You may restrict the information or to whom it is disclosed, or opt out of being included in the directory. You may make your preferences known, orally or in writing. Individuals Involved in Your Care or Payment for Your Care. Unless you object, we may disclose health information about you to a friend or family member who is involved in your care. We may also give information to someone who helps pay for your care. In addition, we may disclose health information about you to an entity assisting in a disaster relief effort so that your family can be notified about your condition, status and location. Although you have a right to request reasonable restrictions on these disclosures, we will only be able to grant those restrictions that are reasonable and not too difficult to administer, none of which would apply in the case of an emergency. To Avert a Serious Threat to Health or Safety. We may use and disclose health information about you to prevent a serious threat to your health and safety or the health and safety of the public or another person. We would do this only to help prevent the threat. Organ and Tissue Donation. If you are an organ donor, we may disclose health information to organizations that handle organ procurement to facilitate donation and transplantation. Military and Veterans. If you are a member of the armed forces, we may disclose health information about you as required by military authorities. We may also disclose health information about foreign military personnel to the appropriate foreign military authority. Research. Under certain circumstances, we may use and disclose health information about you for research purposes. For example, a research project may involve comparing the health and recovery of all residents who received one medication to those who received another, for the same condition. All research projects, however, are subject to a special approval process. This process evaluates a proposed research project and its use of health information, trying to balance the research needs with residents’ need for privacy of their health information. Before we use or disclose health information for research, the project will have been approved through this research approval process. We may, however, disclose health information about you to people preparing to conduct a research project so long as the health information they review does not leave a Facility. Any other research will require your written authorization. Workers’ Compensation. We may disclose health information about you for workers’ compensation or similar programs. These programs provide benefits for work-related injuries or illness. To notify appropriate government authority if we believe a resident has been the victim of abuse, neglect or domestic violence. We will only make this disclosure if you agree or when required or authorized by law. Health Oversight Activities. We may disclose health information to a health oversight agency for activities authorized by law. These oversight activities may include audits, investigations, inspections, and licensure. These activities are necessary for the government to monitor the health care system, government programs, and compliance with civil rights laws. Lawsuits and Disputes: If you are involved in a lawsuit or a dispute, we may disclose health information about you in response to a court or administrative order. We may also disclose health information about you in response to a subpoena, discovery request, or other lawful process by someone else involved in the dispute, but only if efforts have been made to tell you about the request or to obtain an order protecting the information requested. Reporting Abuse, Neglect or Domestic Violence: Notifying the appropriate government agency if we believe a resident has been the victim of abuse, neglect or domestic violence. Coroners, Medical Examiners and Funeral Directors. We may disclose medical information to a coroner or medical examiner. This may be necessary to identify a deceased person or determine the cause of death. We may also disclose medical information to funeral directors as necessary to carry out their duties. National Security and Intelligence Activities. We may disclose health information about you to authorized federal officials for intelligence, counterintelligence, and other national security activities authorized by law. Protective Services for the President and Others: We may release medical information about you to authorized federal officials so they may provide protection to the President, other authorized persons or foreign heads of state or conduct special investigations. If you are an inmate of a correctional institution or under the custody of a law enforcement official, we may release medical information about you to the correctional institution or law enforcement official. This release would be necessary (1) for the institution to provide you with health care; (2) to protect your health and safety or the health and safety of others; or (3) for the safety and security of the correctional institution. Other uses and disclosures not described in this Notice. If you provide us permission to use or disclose health information about you, you may revoke that permission, in writing, at any time. If you revoke your permission, we will no longer use or disclose health information about you for the reasons covered by your written authorization. You understand that we are unable to take back any disclosures we have already made with your permission, and that we are required to retain our records of the care that we provided to you. Right to Inspect and Copy. With some exceptions, you have the right to review and copy your health information. A copy may be made available to you either in paper or electronic format if we use an electronic health format. Under federal law, however, you may not inspect or copy the following records: psychotherapy notes; information compiled in reasonable anticipation of, or for use in, a civil, criminal, or administrative action or proceeding; and PHI that is subject to a law prohibiting access. Depending on the circumstances, you may have the right to request a second review if our Privacy Officer denies your request to access your PHI. Please note that you may not inspect or copy your PHI if your physician believes that the access requested is likely to endanger your life or safety or that of another person, or if it is likely to cause substantial harm to another person referenced within the information. As before, you have the right to request a second review of this decision. You must submit your request in writing to the Administrator. We may charge a fee for the costs of copying, mailing or other supplies associated with your request. If we deny your request for amendment, you have the right to file a statement of disagreement with us and we may respond to your statement in writing and provide you with a copy. Right to an Accounting of Disclosures. You have the right to request an “accounting of disclosures”. This is a list of certain disclosures we made of your health information, other than those made for purposes such as treatment, payment, or health care operations. The accounting is not required to report PHI disclosures (1) to those family, friends and other persons involved in your treatment or payment, (2) that you otherwise requested in writing, (3) that you agreed to by signing an authorization form, or (4) that we are otherwise required or permitted to make by law. You must submit your request in writing to the Administrator. Your request must state a time period which may not be longer than six years from the date the request is submitted and may not include dates before February 26, 2003. Your request should indicate in what form you want the list (for example, on paper or electronically). The first list you request within a twelve month period will be free. For additional lists, we may charge you for the costs of providing the list. We will notify you of the cost involved and you may choose to withdraw or modify your request at that time before any costs are incurred. Right to Request Restrictions. You have the right to request a restriction or limitation on the health information we use or disclose about you. For example, you may request that we limit the health information we disclose to someone who is involved in your care or the payment for your care. You could ask that we not use or disclose information about a surgery you had to a family member or friend. If you pay for a particular service in full, out-of-pocket, on the date of service, you may ask us not to disclose any related PHI to your health plan. You may also ask us not to disclose your PHI to certain family members or friends who may be involved in your care or for other notification purposes described in this Privacy Notice, or how you would us to communicate with you regarding upcoming appointments, treatment alternatives and the like by contacting you at a telephone number or address other than at home. Please note that we are only required to agree to those restrictions that are reasonable and which are not too difficult for us to administer. We are not required to agree to your request. If we do agree, we will comply with your request unless the information is needed to provide you emergency treatment. You must submit your request in writing to the Administrator. In your request, you must tell us (1) what information you want to limit; (2) whether you want to limit our use, disclosure or both; and (3) to whom you want the limits to apply, for example, disclosures to your spouse. Under certain circumstances, we may choose to terminate our agreement to a restriction if it becomes too burdensome to carry out. Finally, please note that it is your obligation to notify us if you wish to change or update these restrictions after your visit by contacting the Privacy Officer directly. Right to Opt Out of Fundraising. We may use or disclose your name, address, telephone number or e-mail information, age, date of birth, gender, health insurance status, dates of service, department of service information, treating physician information or outcome information, to a business associate or institutionally related foundation, for the purpose of raising money for our Facility’s benefit. Although we may contact you to raise funds for our Facility, you have the right to opt out of receiving future fundraising communications, and your decision will have no impact on your treatment or payment for services at our Facility. You must submit your request in writing to the Administrator. Right to Request Alternate Communications. You have the right to request that we communicate with you about medical matters in a confidential manner or at a specific location. For example, you may ask that we only contact you via mail to a post office box. You must submit your request in writing to the Administrator. We will not ask you the reason for your request. Your request must specify how or where you wish to be contacted. We will accommodate all reasonable requests. Right to Revoke Authorization. Any other uses and disclosures not described in this Notice will be made only with your written authorization. Please note that you may revoke your authorization in writing at any time except to the extent that we have taken action in reliance upon the authorization. You must submit your request in writing to the Administrator. Right to Receive Notice of a Breach. You have the right to receive written notice in the event we learn of any unauthorized acquisition, use or disclosure of your PHI that was not otherwise properly secured as required by HIPAA. We will notify you of the breach as soon as possible but no later than sixty (60) days after the breach has been discovered. You may obtain a copy of this Notice at our website. To obtain a paper copy of this Notice, contact the Administrator. We reserve the right to change this Notice. We reserve the right to make the revised or changed Notice effective for health information we already have about you as well as any information we receive in the future. We will post a copy of the current Notice in the Facility and on the website. The Notice will specify the effective date on the first page, in the top right-hand corner. In addition, if material changes are made to this Notice, the Notice will contain an effective date for the revisions and copies can be obtained by contacting the Facility administrator. If you believe your privacy rights have been violated, you may file a complaint with the Facility or with the Secretary of the Department of Health and Human Services. To file a complaint in writing visit our website or contact the Administrator. You may also contact our Hotline at 1-877-531-7472.You will not be penalized for filing a complaint.